Over time, it’s quite common for business analysts to desire a different career path. Maybe you were originally passionate about the field, but have become burned out. Perhaps you’re feeling stagnant in your career, or you are simply looking to take on more of a leadership role as part of a technical team. Regardless of the reason, a change in career path also serves as an opportunity, a chance to head in a new exciting direction. If you are a BA considering making a move into project management, focus on these core areas to facilitate the transition. Your experience as a BA and proven soft skills might be enough to get your foot in the door as a PM, but you will need to demonstrate expertise with project management software. These programs allow for efficient collaboration, simplified budgeting, streamlined scheduling and more. Every organization has its own preferred project management programs, but they all tend to be similar in functionality. To get started, learn some of the most popular tools like Microsoft Project, Atlassian and Basecamp. Beyond software, project managers need to be skilled in areas like budgeting, communication, contract management, planning and scheduling. The best way to get experience in these areas is to start leading projects. In your current role as a BA, take on more leadership responsibility, if possible. As you familiarize yourself with project management, you’ll likely see opportunities to use those skills and resources to make things run more efficiently on your current team. If you don’t find opportunities to build these skills in your current role, consider volunteering your time to a worthy cause. Helping plan events or initiatives for a local organization will help you build transferable skills as a PM. Getting certified is an important step when transitioning into project management. The PMP certification administered by the Project Management Institute (PMI) is the industry gold-star, as most companies recognize it as offering comprehensive proof of skills and knowledge. Getting PMP certified, like all tech certifications, does require sitting for an exam, but there are a host of resources available online and in person to help prepare you for the test. Are You Looking for Project Management Jobs? 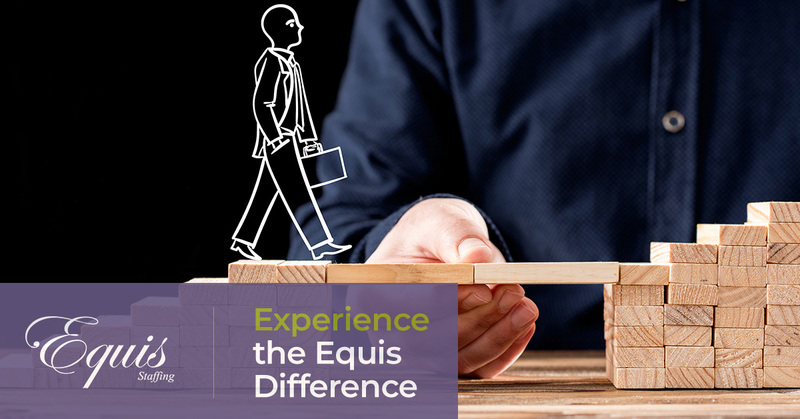 If you are ready to take the leap from business analysis to project management and you’re looking for new job opportunities, the recruiting professionals at Equis Staffing can help you explore your options. Search our current job openings or contact our team to learn how we can help you take the next step in your career.